Another cow horn (from an earlier ebay order) project. This project took some prep as the horn I use needed to be sanded smooth as it was a bit hairy to begin with. 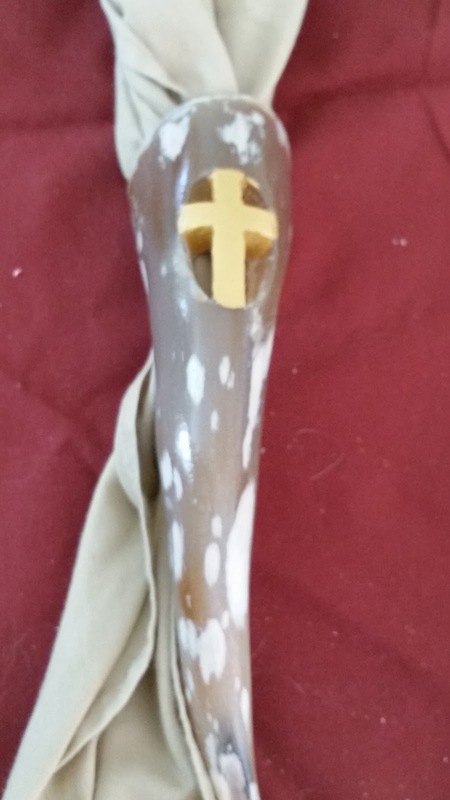 Once ready, I cut the cross into the horn, sanded, and painted the cross with some gold paint.